FOLLOWING recent wins in Glasgow, totalling over £11 million, construction services company, ISG, has commenced additional projects in the east of the country – for the University of Edinburgh. These awards mark the continuation of ISG’s strong relationship with one of the longest-established educational establishments in Scotland. After successfully completing the first phase of the Ashworth building redevelopment for the School of Biological Sciences, ISG is now commencing the second phase, valued at £1 million. The University has also awarded ISG a £1.2 million project at the Michael Swann Building, which also forms part of the prestigious School of Biological Sciences. Work has commenced on the second floor of the Michael Swann Building, where 7,900 sq.ft of study space will be reconfigured to create two new research laboratories, as well as high-quality office and meeting accommodation. As part of the project, existing mechanical and electrical infrastructure will be stripped out and replaced with modern, highly-efficient services. Both schemes are being carefully phased to minimise the impact of this work on teaching and research activities at the University. 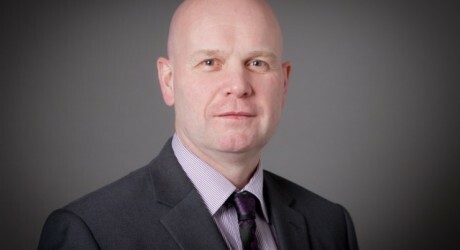 Andy McLinden, ISG’s Scotland regional managing director, commented: “We’re seeing a solid pipeline of quality opportunities from the Scottish education sector and our strong credentials with key institutions continue to prove influential in securing new projects. ISG Plc is an international construction services company delivering Fit Out, Construction, Engineering Services and Specialist Solutions, operating in 28 countries worldwide. The company works with owners, developers and occupiers in the public and private sector for an extensive range of industries. ISG Plc was established in 1989 and has been quoted on AIM since 1998. Today, the company has a turnover of around £1.6 billion. MEDIA RELEASE issued by Emjay PR. You too can post your story ideas for journalists (aka press or media releases), on allmediascotland.com. Email here for more information. Check out too twitter.com/allPropertyPR and also twitter.com/allEducationPR.